James Allred has been a financial consultant with AXA Advisors since 1991. He has an MBA from Valdosta State University and holds the professional designations CLU, ChFC, and CASL. In 2005, James joined AXA Equitable's prestigious Hall of Fame. Mr. Allred focuses his business on helping clients through planning concepts such as Estate Conservation Strategies and Retirement Planning. Through proper planning, James assists and educates his clients in order to meet their present and future financial objectives. 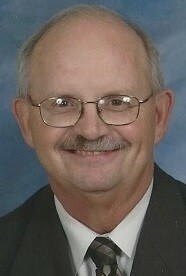 James is an active member of Northside Baptist Church in Valdosta. He and his wife Dian have three grown children.